Dr. Gláucio Diré Feliciano holds a degree in Biological Sciences from the Federal Rural University of Rio de Janeiro (UFRRJ/ Brazil), a master's degree in Human and Experimental Biology (Morphological Sciences) from the University of Rio de Janeiro (UERJ/ Brazil) and a PhD in Biology (area of concentration in Nuclear Biosciences) by the University of the State of Rio de Janeiro (UERJ/ Brazil). He concluded his postdoctoral fellowship in Experimental Pathology at the State University of Rio de Janeiro (UERJ/Brazil). He is currently a research professor in the area of Neuropharmacology and Neurochemistry at the Foundation University State University of the West Zone (UEZO/ Rio de Janeiro/ Brazil), where he is responsible for the research line entitled "Study of the biological effects of natural products with investigative interest in Brazil's unique health system. ", which is developed in the Laboratory of Chemical and Biological Analysis-LAQB (UEZO/ Rio de Janeiro/ Brazil). He is also a Full Professor III at Estácio de Sá University (UNESA/ Rio de Janeiro/ Brazil). He is a Fellow of the American Association for Science and Technology. After post graduation from IARI, New Delhi, he joined as Scientist there in 1997. At present, he is working as Principal Scientist at the Division of Food Science & Post harvest Technology, IARI, New Delhi. He is associated with release of mango hybrids like Pusa Arunima, Pusa Surya, Pusa Lalima, Pusa Shresth, Pusa Pitamber etc. and standardization of several fruit production and postharvest management technologies. He has published 50 research articles in International journals, 75 in National journals, and authored 12 books. He is recipient of Rajiv Gandhi award of Ministry of Home Affiars, Govt of India, Education award, MHRD, Govt of India, Dr Rajinder Prasad award (twice) of ICAR, New Delhi, Dr. R.N. Singh award (twice) of IARI, New Delhi, and Himachal Shri Award. He has also served as International Mango Registrar for about 5 years (1999-2004). He is fellow of National Academy of Agricultural Science (NAAS), New Delhi, National Academy of Biological Science, The Horticultural Society of India, New Delhi and Bioved Research Society, Allahabad. 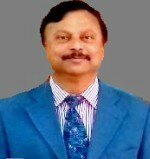 He is a member, editorial board of 10 International journals including Scientia Horticulturae, International Journal of Fruit Science (U.K.), American Journal of Plant Sciences (US), Journal of Food Processing and Technology (US), and Stewart Postharvest Reviews (UK), and Chief Editor of International Journal of Processing and Postharvest Technology, India. His research program involves: Eco-friendly food technology, Table olive technology, new fruit and vegetable selection works for final step of breeding project, New food technologies, Olive oil, Food safety and Functional foods. Prof. Dr. Mohamed F. R. Hassanien is currently working as a Professor of Biochemistry at Zagazig University (Egypt). Prof. Hassanien obtained his Ph.D. (Dr.rer.nat.) in Food Chemistry from Berlin University of Technology (Germany, 2004). As post-doctoral researcher, Prof. Hassanien continued his research in ranked universities in different countries such University of Helsinki (Finland), Max-Rubner Institute (Germany), Berlin University of Technology (Germany), and University of Maryland (USA). In 2010, he was invited to be visiting Professor (100% research) at King Saud University in Saudi Arabia. In 2012, he was invited to be visiting Professor (100% teaching) in School of Biomedicine, Far Eastern Federal University in Vladivostok, Russian Federation.Prof. Hassanien published more than 160 papers, reviews in international peer-reviewed journals with high impact factor as well as several books and book chapters (recent h-index is 28). He was participated and invited speaker in several international conferences. Since 2003, Prof. Hassanien is a reviewer and editor in many highly-cited international journals. Prof. Hassanien received Abdul Hamid Shoman Prize for Young Arab Researcher in Agricultural Sciences (2006), Egyptian State Prize for Encouragement in Agricultural Sciences (2009), European Young Lipid Scientist Award (2009), AU-TWAS Young Scientist National Awards (Egypt) in Basic Sciences, Technology and Innovation (2013), and Atta-ur- Rahman Prize in Chemistry (2014). Prof. Hassanien’s current research interests are chemistry of bioactive compounds and impact of processing on functionality and properties of food components. He is professor at the Universidad de Girona (Spain), “Pablo de Olavide” de Sevilla (ídem), San Antonio de Murcia (ídem), de Castilla-La Mancha (ídem) and of the CEI International Affairs - Universitat de Barcelona - Universitat Autònoma de Barcelona (Master en Diplomàcia i Funciò Pública Internacional). He is also lecturer at the Università degli Studi di Ferrara and the Università degli Studi del Piemonte Orientale Amedeo Avogadro (Italia). Mr.González Vaqué is at the present time Director of Food and Agrarian Policies of the “Fundació Triptolemos” (Barcelona) and member of the “Grupo de Reflexión ‘El futuro de la Unión Europea’” (Instituto Universitario de Estudios Europeos, Madrid) and of the Food Research Collaboration (UK). Ozlem Tokusoglu has completed her Ph.D. at Ege University Engineering Faculty, Department of Food Engineering at 2001. She is currently working as Associate Professor Dr FACULTY MEMBER in Celal Bayar University Engineering Faculty Department of Food Engineering. Tokusoglu performed as Visiting Scholar at the Food Science and Nutrition Department /University of Florida, Gainesville-Florida-USA during 1999-2000 and as Visiting Professor at the School of Food Science, Washington State University, and Pullman, Washington, USA during April-May 2010. Professor Tokuşoğlu organized and directed the International Congress titled ANPFT2012 (Advanced Nonthermal Processing in Food Technology: Effects on Quality and Shelf-Life of Food and Beverages) as Congree Chair and Director, in May 7–10, 2012 at Kusadasi-Aegean, Turkey. She served as an organizing committee mem¬ber (OCM) at the 2nd International Conference and Exhibition on Nutritional Science & Therapy Conference in July 2013 in Philadelphia, USA and Co-Chair at the FOOD TECHNOLOGY 2014 conference (3rd International Conference and Exhibition on Food Processing and Technology) in July 2014 in Las Vegas, USA. She is recently serving as FOOD and NUTRITION Group Chair of USA Conference Series LLC Group, Nevada. She also served as Chair of FOOD TECHNOLOGY 2015 (4th International Conference on Food Processing and Technology) in August 10–12,2015 in London, UK; as Chair of NUTRITION 2015 (4th International Conference on Nutrition) in October 26-28,2015 in Chicago, Illinois, USA; as Chair of NUTRITION 2016 (5th International Conference on Nutrition) in September 14-17, 2016 in San Antonio,Texas, USA; as Chair of FOOD TECHNOLOGY 2016 (5th International Conference on Food Processing and Technology) in October 27-29, 2016 , Rome, ITALY; as Chair of NUTRITION AND FOOD SCIENCE 2017 in 29-31 May,2017 in Osaka,JAPAN. She is currently Chair of the FOOD TECHNOLOGY 2017 in October 23–25 in Paris, FRANCE. Dr. Tokuşoğlu is Main Associate Editor of WILEY- Journal of Food Processing and Preservation (JFPP), USA Tokusoglu is CRC Press Taylor and Francis BOOK EDITOR. She has published scientific edited book titled 2011-Fruit and Cereal Bioactives: Chemistry, Sources and Applications, ISBN 9781439806654 by CRC Press, Taylor & Francis Group at 2011, and another book titled Improving Food Quality with Novel Food Processing Technologies, ISBN 9781466507241 by CRC Press, Taylor & Francis Group at 2015 and book titled Food By-Product Based Functional Food Powders, (The Nutraceuticals: Basic Research/Clinical Application Series Book) for CRC Press, Taylor & Francis, Boca Raton, Florida, USA. ISBN 9781482224375 at 2018. She has published many research papers in peer-reviewed international journals, international book chapters,and international presentations (as oral and posters) presented at international congresses and other organizations. Professor Tokusoglu is also currently Manager (CEO) of the SPİL INNOVA Ltd.Şti. Food, Research and Consultancy in DEPARK Technopark, Dokuz Eylul Technology Development Zone, İzmir, Turkey as her official additional responsibility; this organization has been working in University- Industry Relationship studies in DOKUZ EYLUL UNIVERSITY, Izmir. 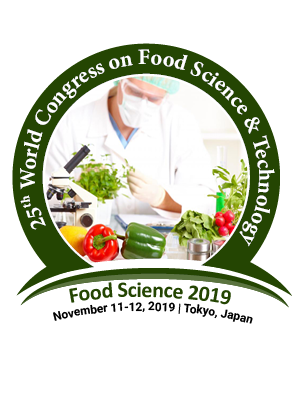 Food Chemistry, Food Quality, Nutrition and Health, Food Safety and Toxicology, Shelf-life of Foods, and innovative food processing technologies in foods, beverages, and functional products. Anet Rezek Jambrak is a Assistant Professor, University of Zagreb. She has received a PhD in Technology (2008) from University of Zagreb. She has completed her B.Sc in Food Science and Technology, major: Nutrition Science (2002). She graduated as the youngest student (less than 22 years old) and the youngest Assistant professor (28 years old) at Faculty of Food technology and Biotechnology (2009). She received Annual award of Biotechnical foundation for the year 2008, The annual award of The society of university teachers, scholars and other scientists-Zagreb for the year 2007. She authored about 17 publications that include Research articles, 1 book chapter. She is serving as reviewer of 11 journals. Development of new food products for special needs, Rheology, New processes for food preservation, Food processing, NutritionTravel, learn and research abroad. Anne Pihlanto has completed her PhD from University of Turku. She is managing the Innovative Food Chain research area at Luke. She has over 20 years’ experience in food protein research. Publications with original results within food technology, chemistry and medical science have been presented in scientific international journals, monographies and invited book chapters. The articles are published in microbial, food and dairy science journals. Total amount of scientific papers is about 150. Charles Brennan is a Professor of Food Science at Lincoln University, New Zealand where he is a member of the Faculty of Agriculture and Life Sciences. Brennan’s research interests lie in the interface between food science and human nutrition with particular interest in how bio-active ingredients and processing manipulate the nutritional quality of foods in particular the role of plant dietary fibre in manipulating the glycaemic response. Brennan is a graduate of London University, Wye College (BSc in Applied Plant Science) and King's College London (PhD in Food Science and Nutrition). During his career he has also worked at Durham University (UK), Plymouth University (UK) and Massey University (NZ). He currently serves as Editor in chief for the journal International Journal of Molecular Sciences, and International Journal of Food Science & Technology and in the Editorial Board of the Journal of Bioactive Carbohydrates and Dietary Fibre. Gulhan Unlu has been on the University of Idaho faculty since 2000. She is an Associate Professor within the School of Food Science. She is also an Adjunct Associate Professor at Washington State University. Prior to joining the University of Idaho, She conducted postdoctoral research at the National Renewable Energy Laboratory in Golden, Colorado. She is an active member of the Institute of Food Technologists and serves as the Chair of the Biotechnology Division of the Institute of Food Technologists (2014-2015). She holds an M.S. degree in Food Science and a Ph.D. degree in Food Science with emphasis on Food Microbiology and a minor in Bacteriology, both from the University of Wisconsin-Madison. She has presented guest lectures in diverse courses in sciences, including Introduction to Food Science, Food Toxicology, Exploring International Agriculture, Biotechnology and Society, and Molecules of Death. USDA ARS Western Regional Research Centre. Dr.Howard Zhang is the Director for the USDA ARS Western Regional Research Center in Albany, California. He leads research on Produce Safety, Plant Mycotoxin, Foodborne Contaminants, Processed Foods, Bioproduct Chemistry and Engineering, Crop Improvements and Utilization, Genomics and Gene Discovery, and Exotic and Invasive Weeds.WRRC also houses the Plant Gene Expression Center, ARS Pacific West Area office, Forest Service Branch and an APHIS laboratory. Dr. Zhang is a member of the Federal Senior Executive Service. Howard was born and raised in Hunan Province of China. He received his BS from Hunan Agricultural University in 1982, MS from the University of Guelph in 1987, and Ph.D. from Washington State University in 1992. He served two years as post-doctoral associate at Washington State University. He was then appointed Assistant Professor (1994-1999),Associate Professor (1999-2003) and Full Professor (2003-2004) at the Ohio State University. In 2004 he joined USDA as Research Leader for Food Safety Intervention Technologies. His areas of expertise include nonthermal processing technologies, pulsed electric fields, packaging, electronic instrumentation and process automation. He is a pioneer and inventor of PEF technology. Giancarlo Cravotto is full Professor of Organic Chemistry at the University of Turin (Italy) and since 2007 he is Director of the Department of Drug Science and Technology and he is the President of the European Society of Sonochemistry. His research activity is documented by more than 300 peer reviewed papers, several book chapters and patents. 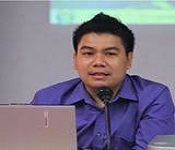 His group has been partner of several UE projects. Among them ARCADE (FP7), MAPSYN “Highly efficient syntheses using alternative energy forms” (FP7-NMP-2012), “ECOEXTRACTION” (Alcotra 2011) and US4GREENCHEM (Horizon 2020). His research activity is focused on enabling technologies for green chemical processes and extraction from lab scale to industrial applications. Since 1991, JF Hocquette has been scientist at INRA (the French National Institute of Agricultural Research). His research interest mainly concerns muscle biology as relevant to muscle growth and beef eating quality. His scientific activity resulted in 252 papers, 2 patents, over $5M in grants, mentorship (27 scholars), adjunctship (800 students) and 60 lectures worldwide. In 2014 and 2016, JF Hocquette organized the French Meat R&D congress (150 to 240 attendees). He was involved in EU-programs on meat. He was head of the Herbivore Research Unit (172 staff) and now works for the High Council for Evaluation of Research & Higher Education. JF Hocquette is involved in the activities of the EAAP (European Association for Animal Production) and of the French Meat Academy. JF Hocquette was associate editor of BMC Genomics, edited two EAAP books (#112 & #133) and is currently editor-in-chief of the French Meat R&D Journal (5600 subscribers). Farid Chemat is a full Professor of Chemistry at Avignon University (France), Director of GREEN Extraction Team (alternative extraction techniques and solvents), co-director of ORTESA LabCom research unit Naturex-UAPV, and scientific coordinator of “France Eco-Extraction” dealing with dissemination of research and education on green extraction technologies. His main research interests are focused on innovative and sustainable extraction techniques, protocols and solvents (especially microwave, ultrasound and bio-based solvents) for food, pharmaceutical, fine chemistry, biofuel, and cosmetic applications. His research activity is documented by more than 170 scientific peer-reviewed papers, 10 books and 10 patents. Ian Watson’s first degree was in applied physics, followed by a PhD from the engineering Faculty at the University of Glasgow in “Optimizing the gaseous dischargeand optical coupling of a pulsed CO2 laser” which was specifically designed for material processing of reflective and refractory materials. In the early 1990s hebegan to research the effects of high power laser beams on microorganisms and laser sterilization and inactivation. He has published on the direct effect of a range of lasers and their efficacy on treating different substrates, including solids, liquids and air and a range of microorganisms from E. coli to B. globigii, ananthrax simulant. As well as building lasers and laser scanning inactivation systems he has developed combined systems for decontamination and inactivationapplications. These systems comprised: lasers, UV, pulsed flash lamp systems, microwave and chemical treatments. Laser and plasma systems have been specifically designed, fabricated and successfully tested for treating air. Dr. Ian Watson is interested in how new decontamination systems and processes can lead to a safer environment and reduce the threat of food contamination and poisoning; and how the treatments can improve shelf life and food quality. As a part of this process, real time detection of microorganisms plays a role in process optimisation. Dr.Osama Ibrahim is a highly-experienced Principal Research Scientist with particular expertise in the field of microbiology, molecular biology, food safety, and bioprocessing for both pharmaceutical and food ingredients. He is knowledgeable in microbial screening /culture improvement; molecular biology and fermentation research for antibiotics, enzymes, therapeutic proteins, organic acids and food flavors; Biochemistry for metabolic pathways and enzymes kinetics, enzymes immobilization, bioconversion, and Analytical Biochemistry. Dr. Ibrahim was external research liaison for Kraft Foods with Universities for research projects related to molecular biology and microbial screening and holds three bioprocessing patents. In January 2005, he accepted an early retirement offer from Kraft Foods and in the same year he formed his own biotechnology company providing technical and marketing consultation for new startup biotechnology and food companies. Dr. Ibrahim received his B.S. in Biochemistry with honor and two M.S. degrees in Microbial physiology/ Fermentation and in Applied Microbiology. He received his Ph.D in Basic Medical Science (Microbiology, Immunology and Molecular biology) from New York Medical College. His research dissertation was on the construction of plasmid for the expression of a fusion protein of VEGF121/ Shiga-like toxin as a therapeutic protein for targeting angiogenesis (cancer treatment). Since 1979 he is a member of American Chemical Society, American Society of Microbiology, and Society of Industrial Microbiology. Dr. Hanee M. Al-Dmoor Reseach Interest include Food science and Technology, Nutrition. Randy Brown reached the highest level in men's college basketball at the NCAA level. For nearly 20 years he worked with the country's finest coaches, including Basketball Hall of Famer Lute Olson. His rise in the coaching world was matched by his dramatic plunge to the depths of depression, children deaths, prison, and a career lost forever. For nearly 20 years he has worked with the country's finest coaches, including Basketball Hall of Famer, Lute Olson. Randy reached the highest level in men's college basketball at the NCAA level, and his NCAA Division I experience includes five regular season championships, two post-season tournament championships, five NCAA Tournaments, back-to-back Big 12 titles, and the 2000 Elite Eight. Three of his Arizona players have captured a total of 10 NBA Championships. His stops include the University of Arizona, Marquette University, Iowa State University, University of North Dakota, Drake University and Stetson. Ten NBA players have benefitted from his coaching expertise, including Steve Kerr, current Golden State Warriors head coach, and Sean Elliott, National Player of the Year, 1988. He created an extensive world-wide coach mentoring program, Elite Coach Mentoring. Over 100 coaches have reached their coaching goals working with Randy. The Iowa Player Development Academy, located in Central Iowa, focuses on teaching players to play the right way. His expertise in dealing with life's adversities provides a powerful platform for his presentation, "Rebound Forward.” He delivers a one-two punch to audiences around the country through his keynote presentation in concert with his book of the same title, Rebound Forward—How to Rebound from Life’s Most Devastating Losses, and Stay in the Game.His expertise in dealing with life's adversities provides a powerful platform for his presentation, "Rebound Forward.” He delivers a one-two punch to audiences around the country through his keynote presentation in concert with his book of the same title, Rebound Forward—How to Rebound from Life’s Most Devastating Losses, and Stay in the Game. Kevin S. Murphy earned his Ph.D. in Strategic Management and Human Resources from the department of Hospitality Tourism Management, Virginia Tech, Pamplin College of Business. He is one of five Certified Executive Chefs in the USA to hold a Ph.D. He has researched and published extensively in top journals in the area of foodservice sanitation, safety and health and other restaurant related issues and he has over 70 academic publications. He has been an invited speaker and presenter nationally and internationally and has given over 100 Media interviews in TV and Press at the International, National and Local level on these topics. He worked in foodservice and the hotel industry for over 20 years and has owned or managed a variety of hospitality establishments including hotels, restaurants and catering operations. He presently holds the following industry certifications: Certified Executive Chef (C.E.C.) from the American Culinary Federation, Certified Servsafe Manager and a Certified HACCP Manager from NSF International. He began teaching at the Rosen College of Hospitality Management in the fall of 2003. He also served on the faculty of James Madison University and Virginia Tech’s Hospitality and Tourism Management departments. He holds international appointments with Florence University Arts (FUA) and the International University of Languages and Media (IULM) in Milan Italy. He holds the following industry and teaching awards: 2012 College Excellence in Graduate Teaching Award; 2011 University Teaching Award (TIP); 2008 Teacher Excellence Award; 2008 Outstanding Doctoral Research Award for a Ph.D; 2007 Banfi Vintners Faculty Institute; 2004 Darden Restaurant Faculty Summer Institute; 2004 & 1995 Chapter Chef of the Year, American Culinary Federation. He specializes in strategic management, human resources management, operational management and cost control of foodservice organizations. He has both led and participated in hospitality projects with industry partners from Red Lobster, Darden Restaurants, Navy Lodge Association, National Association of Catering Executives, Virginia Museum of Fine Arts, Aruba Timeshare Association and The Reefs Resorts. Dr Rocco Caliandro got the degree in Physics from the University of Bari (Italy) in 1993. After a year of mandatory military service, he was post-degree fellowship at the Institute for the Research and Development of Crystallographic Methodologies of the Italian Research Council (CNR). In 1996 he joined the PhD program of the Department of Physics at the University of Bari, where he carried out researches in high-energy physics, participating to several heavy-ion collisions experiments at the European Organization for Nuclear Research (CERN) of Geneva. In 1999 he got the PhD in Physics. He prosecuted his research in high-energy physics during a one-year contract at CERN, during a two-years post-doctoral fellowship from the National Institute of Nuclear Physics, and during a fixed-term contract from the University of Bari. In December 2001 he became staff researcher at the Institute of Crystallography of CNR. Dr. Rocco current research activities are: - protein crystal structure determination; - protein structural dynamics by computational methods; - development of phasing methods to obtain the crystal structure in difficult cases. - new protein crystallization techniques; - statistical methods to extract relevant information from X-ray diffraction patterns and crystallization experiments. Dr.Francesco Capecchiacci has graduated in Geological Sciences at the University of Florence, where he also completed the PhD in Earth Sciences. He currently works at the Department of Earth Sciences of the University of Florence as post doc research fellow and is also associated to National Research Council (CNR)-Institute of Geosciences and Earth Resources (IGG) section of Florence. Dr.Francesco currently involved in the development and application of spectrometric techniques using PICARRO G2201-i for the determination of δ13C isotope ratios in CO2 and CH4 in air and in fluids of natural systems. Engaged in the development of specific quality control techniques on food and medical gases, in relation to contamination from metallic and non-metallic species. Constant activity in the study of Volatile Organic Compounds (VOCs) in natural (volcanic, geothermal) and anthropic systems. Engaged in the development of sampling and analytical techniques for environmental studies related to air quality: atmospheric particulate matter and VOC in air. Prospecting activities in areas with geothermal potential and control of emissions from geothermal power plants. Work experience in national and international projects at Department of Earth Sciences - University of Florence and CNR-IGG of Florence. 1988 Dr.Rainer started his career at the European R&D Packaging Department of Kraft Foods in Munich. He supported all major Kraft Foods brands and food categories as cheese, grocery, ready meals and bakery products. A major achievement was the move of all these key brands towards “Shelf-Ready-Packaging” concepts. 1994 Rainer joined Danone and build up the Central, Eastern and Northern Europe R&D Packaging Team. Beside development of Danone’s retail shelf icons, the integration of new Eastern countries into the Danone packaging and quality structure was priority. From 2000 to 2004 Rainer was leading Danone’s global productivity program in packaging. Focus was to support factories in emerging countries around the world with best packaging methods and practices. 2005 he became the Head of Packaging for FrieslandCampina to lead all development activities globally. His last project in 2015 for FrieslandCampina was the definition of the “Global Packaging Vision” and the resulting development program and roadmaps. October 2015 Rainer joined kp as Global Group Development Director Innovations for Food and Consumer Packaging Klöckner Pentaplast. Rainer is enjoying very much to support now the brand owners by his experience and global know how from the packaging industry side. Dr.Richard launched his packaging consultancy, Emagine Packaging Ltd., 5 years ago with sustainability as a core brand value. Over 30 years R&D experience in the food manufacturing and packaging industries gained with leading organisations from across the agri-food supply chain. Recently involved with two Ellen MacArthur Foundation scheme Circular Economy collaborative research projects on pack eco-innovation. Associate in Packaging at the Natural Resources Institute (nri), University of Greenwich, for its M.Sc. programmes in ‘Food Innovation’ and ‘Food Safety & Quality Management.’ Associate Lecturer in ‘Innovation & Design’ for The Open University. Editor/writer e.g. book: ‘Food & Beverage Packaging Technology’ (Wiley-Blackwell). Dr. Theo Lioutas joined McCain Foods Limited in 2011 as Chief Science and Technology Officer and a member of the company’s senior Leadership team. Theo worked closely with all the research and development teams around the world developing a recommended organizational structure that will further McCain’s innovation goals. He reported directly to the Chief Executive Officer. Previously, he was Senior Vice President of Global Research and Development for Brown-Forman, one of the world’s largest spirits companies and an organization he worked with for 12 years. Prior to Brown-Forman, Theo built his career at General Mills, Campbell Soup, Kraft Foods, Jacobs-Suchard, Tropicana/Pepsico. He obtained a Master of Science degree in Agricultural Engineering and a PhD in Food Chemistry and Food Science, both from the University of Illinois. 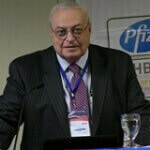 Dr. Alexander Sulakvelidze, Ph.D. is Vice President of R&D and Chief Scientist of Intralytix. He is an internationally recognized expert in phage technology. Dr. Sulakvelidze has published extensively on the subjects of phage therapy and biocontrol, including co-editing a major book about bacteriophages entitled “Bacteriophages: Biology and Applications”. He is the author of 14 issued and several pending patents in the field of bacteriophage technology. Monika Vidak graduated agriculture at the University of Zagreb, Croatia, in 2013. In 2015 she enrolled in the PhD programme at the same Faculty and started to work on her PhD thesis in the framework of the project "Genetic basis of bioactive nutrient content in Croatian common bean landraces" carried out at the Department of Seed Science and Technology. Her research interests are plant genetic resources conservation and molecular methods for identification of cultivars and analysis of biodiversity. Meisam Nazari was born in Karaj, Iran in 19.11.1991. He finished his B.Sc. (Agronomy and Plant Breeding) at the Shahrood University of Technology, Iran. Now, he is an M.Sc. student in Sustainable International Agriculture at the Georg-August University of Gottingen, Germany. He has been performing some researches in terms of improvement of seed germination by ultra-priming method. He has also studied such different subjects as plant-mycorrhizal interactions, and biological fertilizers. He has published 5 articles in good ISI journals, and translated a book on plant-microbe interactions. Zahra (Forouq) Kanaani is currently pursuing a second Master’s degree in Sustainable International Agriculture at the University of Göttingen and University of Kassel, with a focus in the area of agroecology, climate change and agro-politics. Previously, in 2013, she completed her M.Sc. in Agricultural Engineering and Agronomy in Iran, with thesis work investigating organic practices to suppress competitor plants on the crop field. In her comprehensive experiments, she considered 71 cultivars of wheat and 3 common rife species of weed in wheat farms of Iran. Also she obtained her Bachelor’s degree in Agricultural Engineering, Agronomy and Plant breeding from the University of Tehran with the focus on plant physiology. Currently, she works as a freelance journalist in public science in Iran, as well as a social activist in “Humanitarian Assistance and Development” and is a member of the academic coordination team of the lecture-series in “Sustainable Agriculture and Food Security” at the University of Kassel in Germany. Regarding her activities, Ms. Kanaani was selected for several seminars and graduate study programs, such as United Nations study program in Geneva, Kyoto University of Japan, etc. She is going to continue her studies as a Ph.D. student in the subject of food safety and agro-politics in Germany. Jose S Torrecilla is a Professor of the Chemical Engineering Department of the Complutense University of Madrid (UCM). He received his PhD in Chemical Engineering from UCM in 2000. From all of his main lines of research, it is worth highlighting the modeling of complex systems and the design of chemometric tools used in many fields such as health, chemistry, engineering, and food technology. He has collaborated with numerous universities as well as national and international research facilities. The impact of his research can be measured with the great number of published articles in various prestigious international journals, some books related with his research lines, and a few national and European patents. His importance can also be evaluated through the participation and coordination of a great number of competitive projects inside the American, European, and national frameworks. During the last few years he has given lectures and seminars at distinguished international research centers, being the main coordinator of some them. Alexander V Sirotkin received his PhD degree in Institute of Evolutionary Physiology and Biochemistry, Leningrad, Russia and his DrSc degree at the Research Institute of Animal Production, Nitra, Slovakia. He is working as Professor at the Constantine the Philosopher University, as a Research Scientist at Research Institute of Animal Production in Nitra and as a Visiting Professor at the King Saud University in Ryiadh now. He has more than 500 publications including 120 full papers in the international journals. He is an Editorial Board Member of 3 international journals and a recipient of more than 10 national and international awards. Prasanta Kalita is a professor of Agricultural & Biological Engineering, Director of the ADM Institute for Prevention of Postharvest Loss, and the Associate Dean for Academic Programs in the College of Agricultural, Consumer and Environmental Sciences (ACES). A Fellow of the American Society of Agricultural and Biological Engineers (ASABE).He is widely recognized for his excellence in teaching, research, and advising, has worked extensively in educational development and capacity building, and in food security issues around the world. He has published more than 150 articles in journals and served as Editor-in-Chief and Associate Editor for three international journals. His career is marked impressively by over 40 honors and awards recognizing teaching excellence, research excellence, and outstanding service, culminating with the Paul A. Funk Award in ACES in Illinois. Sobhy El Sohaimy is presently working as Head of Department of Food Technology at City Of Scientific Research and Technological Applications. He is Chairman of the Committee of Grievances and Complaints at City Of Scientific Research and Technological Applications. His research work include Food Biochemistry, Functional Foods and Nutraceuticals, Food Safety, Antioxidants in food, Food analysis and Quality control. He has published papers in reputed journals, book chapters and served as a Chairman of more than a committee in SRTA-City. Osama O Ibrahim is a highly experienced, principal research scientist with particular expertise in the field of microbiology, molecular biology, food safety, and bio-processing for both pharmaceutical and food ingredients. He is knowledgeable in microbial screening /culture improvement; molecular biology and fermentation research for antibiotics, enzymes, therapeutic proteins, organic acids and food flavors, biochemistry for metabolic pathways and enzymes kinetics, enzymes immobilization, bio-conversion, and analytical biochemistry. He was external research liaison for Kraft Foods with Universities for research projects related to molecular biology and microbial screening and holds three bioprocessing patents. In January 2005, he accepted an early retirement offer from Kraft Foods and in the same year he formed his own biotechnology company providing technical and marketing consultation for new start up biotechnology and food companies. Julijana Tomovska completed education Chemical Faculty in Skopje, graduated January 1985, Postgraduate studies in the field of biochemistry January 2001. The first work was 1985 in the textile factory in Bitola as a director of dying section. From 1989 worked in Clinical centre, Dr. Trifun Panovski, in the section of laboratory research as qualified coworker in Biochemical and Hematology Laboratory. From 2003 she was assistant of Chemical sciences at University St. Kliment Ohridski Faculty of biotechnical Sciences - Bitola. In 2005 year she acquainted PhD in Chemistry and she started to work as assistant professor. 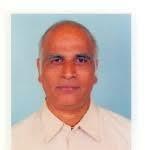 From 25.12.2012 until 24.05.2015, was Dean of Faculty, regular Professor is from 12.09.2013. For now is member in Senate of University also is member in 12 Editorial Board and Reviewer in several Јournals. She has worked in many scientific projects of international and domain research. Julijana Tomovska is actively involved in scientific research work in the area of chemistry, biochemistry and biotechnology. She is author and co-author of many scientific papers 120. Lara Hanna Wakim is an Associate Professor and Dean of the Faculty of Agricultural and Food Sciences at the Holy Spirit University of Kaslik, Lebanon. She is the Vice-President of the Global Confederation of Higher Education Associations for Agricultural and Life Sciences-2015 and Member of its Steering Committee. She served as Head of Food Science Department at USEK and as Responsible of the International Relations. She has an extensive experience as Food Safety consultant. She is Member of the National Committee of Agri-Food Industries at the Lebanese Ministry of Agriculture, an Active Member at the Lebanese Standards Institution at the Lebanese Ministry of Industry, Member of the Lebanese Association of Food Scientists and Technologists and also Member of the Governing Council of the International Union of Food Science and Technology. Her research interests are primarily focused on consumer perceptions and attitude toward food safety in Lebanon. She holds an Agricultural Engineering Diploma from USEK (Lebanon), an MS in Food Science from the Agence Universitaire de la Francophonie (AUF)/INAP-G (France) and a PhD in Food Process Engineering from AgroParis Tech (France). She holds as well an MA/PG Diploma in Learning and Teaching in Higher Education from University of Chester (UK). Lara Hanna Wakim research interests are primarily focused on consumer perceptions and attitude toward food safety in Lebanon. She holds an Agricultural Engineering Diploma from USEK (Lebanon), an MS in Food Science from the Agence Universitaire de la Francophonie (AUF)/INAP-G (France) and a PhD in Food Process Engineering from AgroParis Tech (France). She holds as well an MA/PG Diploma in Learning and Teaching in Higher Education from University of Chester (UK). Multidisciplinary areas of dermatopharmacology, dermatotoxicology, skin carcinogenesis, chemical carcinogenesis,Photocarcinogenesis, prostate cancer, drugmetabolism, toxicology, cancer chemoprevention, diet nutrition andcancer, oncogenes and cancer, photobiology, photodynamic therapy, environmental health, occupational health, riskassessment, inflammatory responses and clinical research. Alison Burton Shepherd is a Senior Lecturer in Adult Nursing at De Montfort University, UK. In 2010, she became a Queens Nurse, which is an Award given for excellence in Nursing Care within the community setting. She works as an Advanced Nurse Practitioner and she is an Independent Nurse Prescriber. She is also an Inspector for the Care Quality Commission. Dr.Kamon Chaiyasit, he hold Bachelor of Science in Food & Nutrition, Master of Science in Pharmacology and PhD in Nutrition. He was a Dietitian of Thailand, Fellow of American College of Nutrition and American Board in Nutritional Wellness. He has more than 30 publications in the field of Nutrition, Herb and Integrative Oncology. Now he is the President of Integrative Nutrition and herbal Medicine Association in Thailand. He is a committee in curriculum in Integrative medicine in Private University in Thailand, He is invited lecturer in topic of nutrition, functional food, herbal medicine and integrative oncology in School of Anti-aging and regenerative medicine, Mae Fah Luang university, Curriculum in Integrative medicine at Thammasat University. His researches interest are Functional Food in chronic disease, Dietary Supplement in Health, Functional Medicine, Immuno-nutrition etc. Ahmed Metwally is working as professor at Cairo University, collage of Agriculture, Egypt. His main specialty is Food & Dairy sciences and Human Nutrition. Ahmed has been supervising may thesis in human nutrition and food chemistry. His research interests include effect of dietary fat on CHD & blood lipid profile, immunity, epigenetics, probiotic foods, enzymatic cross-linking of food & dairy products, and food rheology. He has published more than 50 papers in international and national journals with more than 2100 times citations. He is editor in some international journals and an international speaker in several international, regional and national conferences on human nutrition and food technology. For more info about Prof. Ahmed, please point your internet browser to www.ahmed-metwally.com. Ahmed Metwally research interests include effect of dietary fat on CHD & blood lipid profile, immunity, epigenetics, probiotic foods, enzymatic cross-linking of food & dairy products, and food rheology. Baher Effat is a Research Professor of Food and Dairy Microbiology, National Research Centre, Egypt. Over 36 years of experience in Food and Dairy Bacteriology . He has shared in national and international programs and projects. He joined many international conferences and workshop, in addition to scientific activities. In addition he awarded for CAS-TWAS Visiting Scholar Fellowship From 03 Aug., 2006 to 31 October 2006.Training of young researchers and lecturers on many science-related subjects; including courses for: Microbiological Analysis of Food, Control of Bacteria Contamination during Food Process and Isolation and Identification of Microorganisms. Member Who's Who in the World. Participated in several research projects in the field of Lactic acid bacteria, propionic acid bacteria, pathogenic bacteria , probiotics, production of functional dairy products rich with conjugated Linoleic acid. Supervised many Post- graduates for M. Sc and Ph.D. degrees in addition to discussing many other thesis. Secretary and Member of Cultural and Scientific Relations Committee in Food Technology and Nutrition Research Division, National Research Center. Participated in several conferences in Egypt. One of the Editorial and reviewer members for many international scientific journals. Published over 54 papers in the field of specialization. 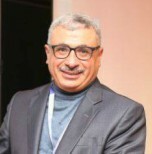 Member of Egyptian Society of Applied Microbiology, Egyptian Society of Food Science & Technology and Egyptian Society of Dairy Science.Member of the scientific editorial board of 5 scientific journals . Training of young researchers and lecturers on many science-related subjects; including courses for: Microbiological Analysis of Food, Control of Bacteria Contamination during Food Process and Isolation and Identification of Microorganisms. Microbiological Analysis for Detection, Enumeration, Isolation and Identification of His Research Interest Include Food Contaminated Microorganisms, Pathogenic Bacteria, Lactic Acid Bacteria, Probiotics and Propionic Acid Bacteria in Food and Dairy Products. Dr.Bikash Chandra Ghosh has of about 31 Years of Teaching and Research Experience, Guided 16 M.Sc /M.Tech and 3 Ph.d students for their Dissertation work, has done 12 Institute's research projects and 4 Research projects in abroad. Published 66 Research and Technical Papers, Conferred with 6 Best Paper Awards. Dr.Bikash Chandra Ghosh Research interests include Processing of Milk and Milk Products with Special reference to Functional Foods,Bio active peptides from Milk, Cheeses, Fermented Milk Foods,and Indian Dairy Products. Dr. Subhajit Ray research interests are Agricultural Production,Food Engineering and Technology,and Industrial Experiences. Prof.Abdel Moneim is an expert in Food Science and Technology, his main concern is food microbiology. DR.DIGAMBAR V. GOKHALE is Scientist in-Charge of NCIM Resource Centre (1999-2012), which is one of the oldest microbial culture collections in India. This center maintains more than 3000 industrially important microbial cultures with main objective to distribute them to research organizations and industries. He Visited University of Nottingham, UK (1985) under UNDP fellowship program and worked with Prof. Peberdy, an expert in the field of fungal genetics and fungal protoplast fusion.  Visited University of Manchester, UK (1990) under ALIS-LINK program and worked with Prof. Bu’Lock, Department of Chemistry in the area of bio-transformations.Received Ph. D in Biochemistry in 1989 from Pune University.  Microbial Transformation leading to synthesis of drugs and drug intermediates was initiated by me. The program of screening of microbial strains for production of optically active phenylglycine was undertaken which led to identification of the halophilic bacterial strain producing D-hydantoinase enzyme. The work resulted in three US patents. The other molecule of interest was prostaglandin intermediate.identified a suitable yeast strain which produces 4-(R)-hydroxy-1-(S)-acetoxy-cyclopent-2-ene. The product was obtained with 99.8% optical purity and 85% chemical yield. This technology was licensed to Hygeia Laboratory for the production of this intermediate. He is Presently, working in the area of biomass conversion to value added products. He developed the strains which can be used for both D- and L- lactic acid production at commercial scale from sugarcane juice and also from bagasse derived cellulose. Exploiting bioenergy and microalgae, laser asteroid deflection and laser and combined systems for inactivation of microorganisms. Areas permeating each theme are complex experimentation, real time detection, monitoring and control of processes. Food and Nutrition, Food Quality and Consumer Acceptance, Food Biochemistry. Dr. Gary Stoner is Professor of Medicine at the Medical College of Wisconsin (MCW) Division of Hematology and Oncology, specializing in the fields of chemical carcinogenesis and cancer chemoprevention. He serves as Director of the Molecular Carcinogenesis and Chemoprevention Program in the newly developing Cancer Center. Dr. Stoner received his PhD in microbiology from the University of Michigan in 1970 and became involved in cancer research as a post-doctoral fellow and research scientist at the University of California-San Diego (UCSD). While at UCSD, his research was focused on the development of a mouse model of lung cancer for the identification of environmental carcinogens and for mechanistic studies of lung carcinogenesis. He then joined the Laboratory of Human Carcinogenesis at the National Cancer Institute where he conducted research on the metabolism of tobacco carcinogens in human lung tissues and developed human lung cell culture systems for investigations of carcinogen/oncogene-induced cell transformation. He became involved in chemoprevention research in the early 1980’s while at the Medical College of Ohio, initially investigating the chemopreventive potential of naturally-occurring ellagitannins and isothiocyanates in the rodent lung and esophagus. As an extension of research with ellagic acid, Dr. Stoner’s laboratory developed a “food-based” approach to the prevention of esophagus and colon cancers in rodents and in humans using freeze-dried black raspberries. His research is documented in more than 350 peer-reviewed publications and book chapters, and he has edited several books. Dr. Stoner joined MCW after nearly 20 years at the Ohio State University College of Medicine where he held the positions of Lucius Wing Endowed Chair in Cancer Research and Therapy, Associate Director for Basic Research and Director of the Chemoprevention Program in the Cancer Center, and Chair of the Division of Environmental Health Sciences and Associate Dean for Research in the College of Public Health. In addition, he served as Director of the Laboratory of Cancer Etiology and Chemoprevention in the Arthur James Cancer Hospital and Richard Solove Research Institute. Dr. Stoner has served on several grant and contract review committees including the NIH Chemical Pathology Study Section, the NCI Cancer Biology and Immunology Contract Review Committee, and as Chair of the NIH Chemo/Dietary Prevention Study Section and the American Cancer Society Advisory Committee on Carcinogenesis, Environment and Nutrition. He has also served as President of the Carcinogenesis and Molecular Biology Specialty Sections of the American Society of Toxicology and of the Ohio Valley Society of Toxicology. He has received numerous awards including the NIH MERIT award, and the Distinguished Alumni Award and Honorary Doctorate from Montana State University. He is also a Fellow in the American Association for the Advancement of Science. Chemoprevention of aerodigestive tract cancers with naturally occurring compounds and with berries. Graham's primary work has been applied research and teaching in the areas of environment and food, with a focus on contributing to sustainability, safety, quality and security. Research interests have included evaluation of the behaviour and impact of environmental contaminants (heavy metals and pesticides in freshwater ecosystems), development and application of rapid assays (antibodies and aptamers for authenticity, contaminants, allergens, pathogens and biomarkers), evaluation of novel or sustainable food ingredients (bioactivity, functionality, consumer acceptability) for new product development and packaging solutions to extend shelf life. Graham also has extensive experience with industry engagement through training and applied research to support translation to future commercial applications and business growth (especially SMEs). Graham is a member of the IAFRI joint venture with University of Newcastle and currently developing training, research and commercial services in food innovation and packaging technology (especially active, intelligent and sustainable packaging solutions) and continue to be an active science communicator to encourage understanding, interest and entry into science-based careers. Graham holds fellowships with the Royal Society of Biology and the Royal Society of the Arts and is a member of the Institute of Food Science & Technology and the Institute of Biomedical Sciences. Bionanotechnologies for food safety, quality, security and supply chain integrity (fraud and terrorism control). Food Innovation and Packaging Technology. Dr. Prasanta Kalita is a professor of Agricultural & Biological Engineering, Director of the ADM Institute for Prevention of Postharvest Loss, and the Associate Dean for Academic Programs in the College of Agricultural, Consumer and Environmental Sciences (ACES). A Fellow of the American Society of Agricultural and Biological Engineers (ASABE), Dr. Kalita’s areas of research include water management and environmental sustainability, hydrology, watershed and water quality, erosion and sediment control, and irrigation. He is widely recognized for his excellence in teaching, research, and advising, has worked extensively in educational development and capacity building, and in food security issues around the world. He has published more than 150 articles in journals and conferences and served as Editor-in-Chief and Associate Editor for three international journals. His career is marked impressively by over 40 honors and awards recognizing teaching excellence, research excellence, and outstanding service, culminating with the Paul A. Funk Award in ACES. Dr. Kalita has served on numerous campus committees including Academic Senate, Senate Executive Committee, University Senate Conference, Committee On Race and Ethnicity, Teaching Advancement Board, and Executives committees in the colleges of ACES and Engineering. The primary research interest of this laboratory is in several innovative areas of artificial cells, microencapsulation, cell therapy, tissue engineering, nanomedicine, regenerative medicine, biomaterials, drug delivery, bacterial cell therapy, medical device engineering, and other biomedical technology developments. The research is focused on the development of new medical treatment strategies including novel cell and drug-based therapies. Specifically, the research team is investigating cholesterol lowering formulations, fatty liver therapeutics, therapeutic protein delivery, novel therapies for neurodegenerative diseases, inflammatory bowel diseases, wound healing, and formulations for use in colon and breast cancers. The research team is also investigating basic mechanisms for the design of artificial organ substitutes such as artificial kidney, liver and skin. In recent years, the research team has contributed to the advancement and development of bioengineered, target specific, and controlled-release delivery systems. These systems are focused on designing artificial cell microcapsules to encapsulate mammalian cells, bacterial cells and other microorganisms, enzymes, small peptides, DNA and other active drugs. Such biotherapeutics are capable of targeting specific sites and are used in our research to design formulation for clinical applications. In addition, the research team is developing systems that integrate bioengineering and tissue engineering principals, with gene and cell therapies, to design new therapeutic products. The present engineered formulations and devices have been applied in numerous areas including biomedicine, bioengineering, industry and clinical settings. Osama Ibrahim is a highly experienced, principal research scientist with particular expertise in the field of microbiology, molecular biology, food safety, and bio-processing for both pharmaceutical and food ingredients. He is knowledgeable in microbial screening /culture improvement; molecular biology and fermentation research for antibiotics, enzymes, therapeutic proteins, organic acids, food flavors, biochemistry for metabolic pathways and enzymes kinetics, enzymes immobilization, bio-conversion, and analytical biochemistry. He was external research liaison for Kraft Foods with Universities for research projects related to molecular biology and microbial screening and holds three bioprocessing patents. In January 2005, he accepted an early retirement offer from Kraft Foods and in the same year he formed his own biotechnology company providing technical and marketing consultation for new start up biotechnology and food companies. Microbiology, molecular biology, food safety, and bio-processing for both pharmaceutical and food ingredients. Dr. Hettiarachchy did her Ph.D. from University of Hull, Yorkshire, England (Biochemistry, Molecular) and M.S. from University of Edinburgh Medical School, Edinburgh, Scotland (Biochemistry, Enzymology). She completed her B.S. from University of Madras, Chennai, Tamil Nadu, India (Chemistry).Dr. Hettiarachchy's research program is focused on basic and applied food proteins and peptides with an integrated approach to value addition in nutraceuticals, natural antioxidants, and antimicrobials from Arkansas-grown crops, and industry co-products. Protein research involves extraction, separation, purification, characterization, and identification using state-of-the art instrumentation and technologies, and conducting functional and functionality properties, as well as nutrient interactions, and mechanisms. Biotechnology is used in preparing bioactive peptides and researched for anti-cancer, anti-obesity, and anti-Alzheimer’s activities with mechanisms and genomics in human cell lines. Extracts derived from plant and industry-co-products including proteins and peptides are investigated for antioxidants, and antimicrobials activities with an integrated approach to meet current and future evolving research demand. Research also involves creating commercially feasible technologies of focused research aimed at conducting collaborative basic and applied research with food companies. Basic and applied food proteins and peptides with an integrated approach to value addition in nutraceuticals, natural antioxidants, and antimicrobials from Arkansas-grown crops, and industry co-products. Isabel M.P.L.V.O. Ferreira is Professor at University of Porto – Faculty of Pharmacy and coordinator of Food Quality and Safety research line at LAQV/REQUIMTE. Specialization: Food quality and safety, development and validation of GC and HPLC methods for analyses of nutrients and contaminants. Find new applications for brewing and agroindustry by-products, development of new functional foods. H-Index 30, published 148 indexed articles and 8 chapters. Supervised 8 PhD thesis, 24 MsD thesis and 5 Post-Doc. Mr. Tony Sarsam has been the Chief Executive Officer of Ready Pac Produce, Inc. since October 23, 2013. Mr. Sarsam served as the President of Direct Store Delivery (DSD) Division at Nestlé USA, Inc. He began his career with the Frito-Lay division at PepsiCo, where he spent twenty years in a diverse career that included senior roles in manufacturing, sales, distribution, finance and strategy. In 2006, he joined Nestle Dreyer's as the Executive Vice President of operations, and shortly thereafter was Executive Vice President of sales and operations. In 2010, he was tasked with starting up and leading the $4.5B Nestle Direct Store Delivery Company, which he led as President for three years. He served as Executive Vice President of Sales and Operations at Dreyer's Grand Ice Cream Holdings Inc. since May 2008. He joined Dreyer's Grand Ice Cream Holdings Inc. in 2006 as Executive Vice President of Operations and Supply Chain from 2006 to May 2008 and was responsible for sales, distribution, supply chain and warehousing for all of its ice cream and frozen dessert products. Mr. Sarsam joined PepsiCo's Frito-Lay as a Plant Engineer and also served a series of larger leadership roles in operations, plant management and sales, including Regional Vice President for Sales and Distribution in the west, Factory Manager, Director of Finance, Region Sales Vice President for Frito-Lay, and Vice President of Sales Strategy for PepsiCo North America. He served as Vice President of Go-to-Market Strategy of Frito-Lay. He led the development of Frito-Lay's and PepsiCo's overall supply chain and customer-service efforts. Mr. Sarsam serves as a Director of Junior Achievement of the Bay Area. He has an MBA from Stanford University. He has a degree in Chemical Engineering from Arizona State University and an MS in Management from Stanford. Education: Ph.D. (Nutrition & Biochemistry), South Dakota State University, Brookings, South Dakota (USA) 1973 MS (Nutrition), South Dakota State University, Brookings, South Dakota (USA) 1970 Career Chairman and Founder, UAS Laboratories, LLC. Wausau, WI (USA), April 2013-Present; President & Founder, DD Innovations, Inc., Edina, Minnesota (USA) January 2014 – Present; President , UAS Laboratories, Inc. Minneapolis, Minnesota (USA) 1979- April 2013; President, APN Laboratories, Inc. Wisconsin (USA) 2010-2013; Director, Food and Drug, South Dakota, (USA) 1973- 81; Adjunct Professor, Dept of Health & Nutritional Sciences, South Dakota State University, 2011-Present; Adjunct Professor, Department of Health Science, Minnesota State University, Minnesota (USA) 1991-1992; Vice President & Director, International Probiotics Association 2008-2011; Chairman, Kalinga HCO Foundation 2008- Present. Career Related Director, Kalinga Hospital; Director, Hospital Corporation of Odisha; President, Odisha Society of Americas; Director, International Probiotics Association; Chairman, Hindu Society of Minnesota; Chairman, Kalinga HCO foundation; Director, India Association of Minnesota; Chairman, Dr. Dash Foundation. Innovative Works Introduced acid-resistant, non-dairy probiotics in USA; Introduced quality control (CFU/g) standards for probiotics worldwide; Expanded consumer awareness on probiotics in USA that has grown from 5% ten years ago to 85% now and helped increase probiotics market from 10 million dollars to 32 billion dollars today. Developed and marketed most stable and effective probiotic strains Lactobacillus acidophilus DDS®-1 and other strain like Lactobacillus plantarum 2B . Innovator of clinically tested probiotic products – Probioplus DDS, DDS-Acidophilus, DDS-Plus, DDS-Junior and Cran-Gyn DDS. Inventor of “Method of preventing, Controlling and ameliorating Urinary tract infections and supporting digestive health by using synergistic Cranberry derivative, A D-Mannose composition and a proprietary probiotic blend with US Patent #12/889,450 (Pending). Civic Established Dr. S. K. Dash Probiotic & Prebiotic Innovation Center for Excellence and Endowed Professorship at Indian Institute of Technology (IIT), Bhubaneswar, India and South Dakota State University, Brookings, South Dakota, USA 2014; Helped in establishing Non Resident Oriya Facilitation center (NROFC), Bhubaneswar, India; Helped in establishing Kalinga Hospital in Odisha ; Helped in setting up Fakir Mohan University in Odisha ; Helped in setting up Regional Blood Bank in Bhubaneswar; Helped in setting up four Odisha -America Resource centers in Odisha; Provide scholarships to students of Odisha State, South Dakota State University and South Dakota School of Mines; Helped in setting up Urgent Care health center in Cuttack, India; Adopted a village, three orphanages, four high schools in Odisha, India. Set up a Polytechnic Institute for under privileged students in Odisha, India. Founding member and president, Odisha Society of Americas 1993-1995; Chairman, Hindu Society of Minnesota 1996-98; Sponsored areas- Literature & Education (Pratibha Ray, Monoj Das, Chandrasekhar Rath, Bibhuti Patnaik and others); Art and Music (Prafulla Kar, Sikander Alam, Pranab Patnaik, Akshaya Mohanty, Raghunath Panigrahi and others), Dance (Sanjukta Panigrahi, Kelucharan Mohapatra, Gangadhar Pradhan, Aruna Mohanty, Kavita Diwedi and others); Mount Everest climber, Former President of India Dr. Abdul Kalam to Minneapolis and many others. Awards and Honors Recipient “Distinguished Alumni Award”, South Dakota State University 2014; Recipient “2010 Probiotic Award”, Frost & Sullivan; Recipient “Minnesota Indo-American Association Achievement Award” 2009; Honored “Probiotic Prophet”, Healthy Living Consumer Magazine 2009; Honored “Minnesota State Senate” 2007; Recipient “Distinguished Non Resident Oriya” Government of Odisha (NROFC) 2006; Recipient “Prabasi Utkal Sanman”. “Outstanding man of the year” Odisha Society of Americas 2000; “Outstanding man of the year” Hindu Society of Minnesota 1998; Recipient “Distinguished Alumni Award”, Ch. R.N. Bidyapitha, Cuttack, India 2001; Recipient “Best of Eden Prairie Award”, U.S. Commerce Association 2009 – 2012; Recipient “Golden Arch Award”, NRI Institute for Innovation in Probiotics and medicine 1991; “Man of the year”, American Biographical Institute 1998; “Lion of the Year”, Capital Lions Club of Pierre, South Dakota 1977; Listed in who’s who in the world, who’s who in Midwest (USA) and National registry of Who’s who. Innovator and Entrepreneur nominee of America 1995. Membership Sigma Xi, The Scientific Research Society of North America; American Association for Advancement of Science; American Association of Pharmaceutical Scientists; Institute of Food Technologists; Natural Product Association; American College of Advancement of Medicine; American Veterinary Medical Association; American Dairy Science Association; American Society of Animal Science; Council of Agricultural Science and Technology; South Dakota Academy of Science; New York Academy of Science; American College of Nutrition; The Collaborative Group; The Indus Entrepreneurs (TiE), Minnesota Chapter; Academy of Nutrition and Dietietics, Minnesota Chapter; Edina Chamber of Commerce. Mirjana Menkovska is full Professor at the Department of Food Technology and Biotechnology at the Institute of Animal Science, Sts. Cyril and Methodius University in Skopje, Macedonia. She graduated at the Faculty of Technology and Metallurgy in Skopje in 1976, she took M.S. Degree in Instrumental Analysis at the same University in 1982, and Ph.D. degree in Food Technology at the University of Belgrade, Serbia in 1993. She was research visiting scientist at many known research centers in the world such as Grain Marketing research Center in Manhattan, Kansas, USA and Cereal Research Institute in Detmold, Germany and other. She published more than hundred thirty papers in domestic and foreign scientific journals; and participated at more than sixty scientific meetings in the country and abroad. She was leader of many domestic and international scientific projects. She is author of a scientific book and she has translated three books from English into Macedonian language, and has reviewed two books. She is senator at the University Senate of the University in Skopje and was its Rector candidate in 2012. Her field of expertise is food technology-cereal science and technology, food processing and new products developing, functional food, quality and safety of food and feed and food instrumental analysis. She was awarded for scientific book in 2004 and got Recognition for contribution to the Eu/ICC Cereal Conference 2002 “ECC 2002-ERA”. She was for a long time member of AACC, RACI and ICC National Delegate, as well as of many other world scientific associations and member of many Scientific and Organizing Committees at international and domestic scientific conferences. Judy Walsh is the Tenant Relations Manager for the Buttertubs Place Seniors Housing Project operated by Nanaimo Affordable Housing Society. She has worked in the non-profit human service field for over 40 years in a variety of settings. Her early career involved working with children, youth and families, and she has spent the last twenty years working in supportive housing for individuals with mental health and addiction concerns, physical disabilities and seniors. She has written policy and procedure manuals for many organizations and has presented at provincial and national conferences. She has also facilitated many training sessions and is a certified instructor for BC Non-Profit Housing Association. She has been a sessional instructor at UBC Okanagan College, Vancouver Island University and North Island College. She completed a research study on the barriers to food security as part of her Doctoral degree from the University of Victoria which was completed in June 2016. Andrew Cannavan is Head of the Food and Environmental Protection Laboratory (FEPL) of the United Nations’ Joint Food and Agriculture Organization/International Atomic Energy Agency (FAO/IAEA) Division on Nuclear Techniques in Food and Agriculture Andrew has more than 25 years’ experience working in food safety. He joined IAEA in 2001 and in his current post is involved in the development of analytical methods for food safety and quality, applied research to underpin international guidelines and standards, training and technology transfer to IAEA and FAO member countries, and coordination and technical management of international research and capacity building projects in food safety and authenticity. He has authored/co-authored more than 50 papers in the peer-reviewed scientific literature and more than 80 conference proceedings papers and reports, contributed to 9 books and published numerous UN reports and articles. He has chaired or participated in advisory boards and scientific committees for a number of major institutes, conferences and symposia. Andrew is a graduate in Applied Physics and Chemistry and an Honours (1st Class) graduate in Biological Sciences from the University of Ulster, UK. He completed his Ph.D. thesis at Queen’s University, Belfast, UK in 1999, and is a Fellow of the Institute of Food Science and Technology. Dr Patricia Owusu-Darko completed her PhD at the Strathclyde Institute of Pharmacy and Biomedical Sciences, University of Strathclyde, Glasgow UK. She holds a MPhil (Biochemistry) and a BSc (Hons) Biochemistry- both from Kwame Nkrumah University of Science and Technology (KNUST), Ghana, Africa She is a Senior Lecturer in Food Science and Technology, Nutrition and Sanitation and Safety at the Kumasi Technical University and an Adjunct lecturer in Food Safety and Quality Management Systems in University of Education, Kumasi Campus- both in Ghana, West Africa. She is the Head of the Centre of Food Quality and Safety; and the Director of the Graduate School of Kumasi Technical University. She has been the Head of Department of Hotel , Catering and Institutional Management and the Director for International Affairs and Institutional Linkages of Kumasi Technical University and served on several of it’s statutory and ad-hoc committees. She is an accredited trainer for the Royal Environmental Health Institute of Scotland (Introductory Food Hygiene, International Certificate for Food Hygiene, HACCP and Food and Health) and has trained several people in each of the modules. She has served as a resource person for Food Hygiene and New product Development for several organizations and organized training workshops for both the formal and informal sectors. She has attended several conferences and published papers in reputed journals and is an editorial board member and reviewer of several journals. Dr. Stefania Negri is Jean Monnet Chair in European Health, Environmental and Food Safety Law (Healthy), co-funded by the Erasmus+ Programme of the European Union. And she is the Chair of “Public International Law”, School of Law, and University of Salerno. She is also the Founder and Director of the Observatory on Human Rights: Bioethics, Health, and Environment. She gained her PhD in International Law. G.M. Rabiul Islam is an epidemiologist in the field of nutrition, food safety, and value chain research continuing common wealth (IMMANA) postdoctoral fellow, Tufts University, USA. Prior to that I’ve completed PhD form Tokyo Medical and Dental University, Japan in the field of public health economics under the Japanese Government Monbukagakusho Scholarship program. I’ve also received an MSc in Nutrition and Rural Development from Ghent University, Belgium under the VLIR scholarship program and a BSc in Agriculture from Khulna University, Bangladesh. I was appointed as a lecturer in 2004 at the Department of Food Engineering and Tea Technology (SUST) then promoted to Assistant Professor in 2007 and Associate Professor in 2013. I’ve also received extensive training by highly skilled and well renowned professionals from domestic and international institutions in the area of food safety e.g., ISO 9001, EMS 14001, OSHAS 18001, ISO 22000, FSSC 22000, BRC Global Standard for Food Safety, Issue-6, Organic Product certification, HACCP, GMP, GCP, Cosmetics-Good Manufacturing Practices (GMP): ISO 22716, PAS 220/223. My research interest is broadly focused on food and nutritional safety and security as well responses to prospective solutions at the population level in developing countries by cost effective mode and want to contribute to the decisionmaking process for the development of pragmatic food safety, nutrition and public health program for better health. Alessandro Di Cerbo obtained the Bachelor degree in Medical and Pharmaceutical Biotechnologies at University Vita-salute San Raffaele (Milan, Italy) in 2005. In 2007 achieved the Master degree in Medical Biotechnologies at University of Modena (Italy), in 2011 obtained the title of PhD in Nanoscience and Nanotechnology at the same University and in 2016 he got the Specialization in Clinical Biochemistry at University “G. d’Annunzio” of Chieti (Italy). His scientific activities are highly interdisciplinary, ranging from nanotechnology to nanomedicine, microbiology, nutrition and translational medicine. He published more than 50 papers in reputed journals. An independent clinical dietician, health and nutrition consultant and media spokesperson, Tina is based in Dubai, UAE since 2005. Chagoury graduated with a BS in Nutrition and Dietetics and a master’s in Public Health with an emphasis in Health Behavior Education from the American University of Beirut. She acted as cofounder and Chief Clinical Officer at Live’ly L.L.C, an SME specializing in clinical and catering services for weight management that started in Dubai, UAE in 2005. In 2018 Tina launched her own practice: Tina Nutrition and Wellness consultancy providing scientific based health and nutrition awareness services through organized campaigns, media outreach and corporate wellness activations in educational and business institutions as well as sports youth clubs and one on one coaching. Tina hosts regular nutrition segments on local TV channels targeting the general Arab speaking public and mothers and children specifically. Chagoury’s long experience in the UAE’s multicultural setting and in the media has given her special interest in nutrition communication and its effect on behavioral change. Dr. Ellahham has served as Chief Quality Officer for SKMC since 2009. In his role, Dr. Ellahham has led the development of a quality and safety program that has been highly successful and visible and has been recognized internationally by a number of awards. As Chief Quality Officer and Global Healthcare Leader, Dr. Ellahham had a focus on ensuring that that implementation of these best practices leads to breakthrough improvements in clinical quality, patient safety, patient experience and risk management. Dr. Ellahham is a Board-certified internist, cardiologist and vascular medicine senior consultant and continues to care for patients. He received his undergraduate degree in biology and his M.D. from the American University of Beirut, Beirut, Lebanon. Dr. Ellahham did his fellowship in Cardiology at the Medical College of Virginia (MCV) in USA. After completing his fellowship, Dr. Ellahham worked in Washington DC in several clinical and leadership positions before moving to UAE in 2008. He led the First AHA GWTG Heart Failure Initiative outside US and was the recipient of the AHA GWTG Award in Wash. DC. He is the champion of the AHA GWTG in the region. Dr. Ellahham continues to be an active clinician. He is board certified in internal medicine, vascular medicine, cardiology and quality. He was recently recertified in 2017 by the American Board of Cardiology (ABIM). He demonstrated great skill and experience in the management of patients with heart failure, ischemic heart disease, and valvular heart disease and led a multi-disciplinary team in the care and delivery of advanced therapies to these patients. He has unique abilities to partner and engage local and regional referring providers. He is able to work in a highly matrixed environment, possess strong leadership and organizational skills and have experience to working effectively in a large health system. He is a fellow of the American College of Cardiology and key member in Heart Failure and Transplant, Adult Congenital and Pediatric Cardiology, Cardio-oncology and Peripheral Vascular Disease Sections. Funmbi Odediran Olatayo was born and raised in Nigeria, Africa. Growing in a medically inclined family, Funmbi learned at an early age the importance of living a healthy lifestyle and being active. After completing an undergraduate degree in Biochemistry at Olabisi Onabanjo University, Ago – Iwoye, Nigeria in 2009, she went ahead to work in various health and pharmaceutical companies such as Neimeth International Pharmaceuticals Plc. She also volunteered in public health promotion programs and acquired trainings and certification in a confectionery and cooking organization. It was during those years that she became interested in nutrition and dietetics; mainly how diet impacts our bodies and lifestyle habits. In 2014, Funmbi made the decision to acquire a Master of Human Nutrition and Dietetics degree from the University of Ibadan, Oyo state, Nigeria which she completed in 2016. Today, Funmbi is a health consultant, speaker and a seminar leader where she uses evidence-based strategies and guides to counsel professionals, active individuals, parents and children; providing them the knowledge to make simple, dietary changes to improve their health and performance and reduce their risk of diseases. Funmbi is also a writer and founder of www.funmbi.com where she writes and provide comprehensive and supporting articles on health and fitness, nutritious and healthy recipes for children and adults, and also, promotional materials on health care and wellness that is engaging, informative and easy to understand. These have been shared on various social media platforms such as LinkedIn, Facebook, etc. Outside of her work, Funmbi is an avid cook and a sport enthusiast who is married to a loving husband and enjoys being with friends and family, travelling and exploring new places, and reading. Prof. Dr. Tengiz F. Urushadze, Director of the Michail Sabashvili Institute of Soil Science, Agrochemistry and Melioration; Academician (Georgian National Academy of Sciences), Correspondent Member (Royal Academy of Sciences and Arts of Barcelona, Spain); published more than 450 scientific and methodological works, including 20 textbooks and 30 monographs; some books were published abroad – USA, Germany, Russia. Editor-in-Chief of the International Journal "Annals of Agrarian Science", Member of the editorial board of scientific journals (Germany, India, Armenia, Azerbaijan); Honorary Member of the International Union of Soil Science (IUSS). Graduated from the University of St. Andrews, Scotland after a four year Honours Geology degree course in 1959. Gained Ph.D. degree from University of Bristol graduating in geology and mineralogy in 1963. Joined Australia National University to work on isotope geochronology, 1963-65. Continued this work during a post-doctoral fellowship at the University of Leeds, 1965-68. Accepted Professorship at the Department of Geology, University of Florida, USA and later at the Department of Environmental Studies, University of Virginia, USA. On return to the UK in 1995 became interested in natural zeolites which led to current work on biological plant fertilizers at the Department of Earth Sciences, University of Cambridge. Martin H. Gerzabek was born on the 9th June 1961 in Vienna, Austria. He graduated at the University of Natural Resources and Life Sciences Vienna (Universität für Bodenkultur, “BOKU”) with his master thesis “Aluminium toxicity to Zea mays, influence of aluminium on growth and nutrient status” and Doctor thesis “The plant availability of magnesium”. He was appointed lecturer at BOKU for Radionuclides in terrestrial ecosystems in 1990, associate Professor at the Institute for Soil Research in 1993 and full Professor for “environmental toxicology and isotopic methods” in 2001. From 2003 to 2010 he was Vice President of Research, since 2009 he is rector of the University of Natural Resources and Life Sciences Vienna (BOKU). BOKU is the only university in Austria focusing on agriculture, forestry, food- and biotechnology, landscape planning, hydrology and civil engineering – in this combination. BOKU ranks 35 in the QS world university ranking by subject 2017 (agriculture and forestry) and 6 in the world green metric university ranking. BOKU has ~ 13.000 students, 2550 staff and delivers 2300 publications per year (810 per year in SCI journals). 660 projects are ongoing – more than one fourth in cooperation with the private sector. During the first 15 years of his career, Martin has focussed mainly on radioecology. He has published numerous papers concerning the impact of the Chernobyl fallout in Austria with specific emphasis on sensitive ecosystems like forests and Alpine pastures. He contributed to the development of a large radioecological computer model to assess the ingestion dose response of the Austrian population. As radioecologist Gerzabek gained significant international recognition. Already from the very beginning in 1984 he has dealt additionally with soil organic matter research. He applied numerous methods of SOM characterization, like stable isotope techniques, FT-IR, humic substances characterizations after extraction and took an important part in developing a very well known method of gaining stable micro-aggregates, which are important for medium-to-long-term SOM stabilization. He specifically has focussed on long-term experiments and published a large number of papers concerning SOM characteristics, stabilization mechanisms and dynamics and the importance of soil microbes in humification and stabilization processes. More recently he focussed on chronosequence studies in the Danube floodplain, which allowed to quantify the soil organic matter accumulation with proceeding soil development. One of the respective papers was described as research highlight in nature. Samy Yehya El-Zaeem is a Professor at Animal and Fish Production Department, Faculty of Agriculture, Alexandria University, Egypt. Branimir Pavlić has completed his PhD at the age of 27 years from University of Novi Sad, Faculty of Technology, Serbia. His fields of research are utilization of crops, food industry by-products and agricultural waste for recovery of bioactive compounds for application of food or pharmaceutical sector, research and development of novel extraction techniques and mathematical modeling of extraction process. He has published more than 35 papers and in well-known journals in the field of chemical engineering, agriculture and food science. He is working as assistant professor at the department of Biotechnology and pharmaceutical engineering at the same affiliation. Dr. Xinzhong Wu is currently a Professor of Qinzhou University and Dean of Ocean College, Qinzhou University,GuangXi, China. He is a scientific researcher in fish health field such as marine mollusc disease, and mollusc and fish immunology. His research interest is cell and molecular evolutionary immunology and the immune mechanisms of mollusk models (oyster and abalone) and fish. He was a visiting scientist in University of Alberta, Canada (from 2007-2008). He also served as a collaborative professor in cooperation with Sunnybrook Research Institute, University of Toronto, Canada (from 2012-2014), so now he is especially focus on understanding the immune diversity and evolutionary immunity of marine molluscan animals, gene regulatory network between mollusc model and echinoderm model to compare the diversity and evolution of two models in immunity, and also interaction and mutual evolution between pathogen ( Rickettsia-like organism) and its host (oyster). Up to now, Dr. Wu has published about 50 papers in English journals such as Molecular Immunology, PLOS ONE, Developmental and Comparative Immunology, Fish and Shellfish Immunology, and so on, and more than 70 papers in Chinese. He has authorized nine of China national patents. Now he is one of the 11th council members of Asian Fisheries Society and the chair of Workshops, Symposia and Training Committee of AFS, the Councilor of Federation of Asian Biotech Association (FABA), Chairman of China Chapter (2006-), Member of Steering Committee of the World Oyster Society (WOS) (2007-), Councilor of the China Society of Fisheries (2005-), Councilor of the Chinese Society of Oceanography (2005-), etc. He served as the Editorial board members in several journals of international and China. Gary Stoner has expertise in the fields of chemical carcinogenesis and cancer chemoprevention. Early studies in his career were focused on lung cancer and tobacco carcinogenesis. Later, his laboratory conducted research on the identification of naturally-occurring compounds to prevent cancer including ellagic acid and a series of isothiocyanate compounds that were exquisite inhibitors of lung and esophageal cancer induced by N-nitrosamine carcinogens. More recently, his laboratory pioneered a “food-based” approach to cancer prevention using freeze-dried black raspberries. Initially, the berries were found to inhibit chemically-induced cancer in the rodent oral cavity, esophagus, colon and skin through reducing cell proliferation, inflammation, angiogenesis and stimulating apoptosis. In humans, the berries were found to cause partial to total regression of premalignant lesions in the oral cavity, esophagus and colon. He will discuss the results of his studies in his presentation. Sima Hamadeh is an Assistant Professor and program Coordinator of Nutrition & Dietetics Sciences at Haigazian University-Lebanon. Her interests lie in such areas as the dietary motivations and behaviors in communities; the evolution of nutrition; the epidemiology of obesity especially among youth; the health promotion and communication; and the nutrition policies. Her Master and Doctoral studies were awarded respectively, the “Emerald Literati Network Awards for Excellence 2009” - as Highly Commended Award Winner and the “Prix d’Excellence Scientifique Franco-Libanais 2015” for the outstanding research project. She has several publications in scientific refereed journals and book. She has also many oral communications on public health nutrition in international and national congresses. She works closely with different national ministries and organizations, and international institutions in projects, seminars, researches and community programs. Dr. Hamadeh is also former member of several executive international Scientific Committees and Associations. Her interests lie in such areas as the dietary motivations and behaviors in communities; the evolution of nutrition; the epidemiology of obesity especially among youth; the health promotion and communication; and the nutrition policies. Dr. Surajit Mitra is a Professor and Head of the Department of Post Harvest Technology under the Faculty of Horticulture at Bidhan Chandra Krishi Viswavidyalaya (Agril. University), West Bengal, India. Prof. (Dr.) Surajit Mitra acquired his B.Sc. (Ag.) Hons. degree securing a first class in 1990 from Bidhan Chandra Krishi Viswavidyalaya (Agril. University), West Bengal, India. He received the M. Sc. (Ag.) in Horticulture and Ph. D. in Horticulture degrees also from Bidhan Chandra Krishi Viswavidyalaya in 1993 and 1998 respectively. He was awarded several National and International Fellowships, and participated in International Training Courses on Postharvest Technology, and has research experience of having worked at Kasetsart University, Thailand; Postharvest Education Foundation, USA; Agricultural Research Organization, Israel; and Wageningen University, Netherlands. He also attended and presented several research papers on postharvest technology in International Conferences in Sri Lanka, Bangladesh and Germany. Prof. Mitra delivered a Lead Lecture on “Tropical tubers as alternate staple crops for food and nutrition security” in the International Seminar on ‘Agriculture and Food for Inclusive Growth and Development during 14-15 January, 2017 at Lucknow, U.P., India. He also delivered an Invited Lecture in the workshop on Strengthening Impact Assessment in the CGIAR (SIAC) – Sweet potato organised by International Potato Center (CIP), Peru in Jameson Inn Shiraz, Kolkata on April 10, 2016. Prof. Mitra has published 46 research papers in peer reviewed national and international journals, authored 6 book chapters and 1 book on postharvest technology of horticultural crops in general and tropical tuber crops in particular. He has acted as an invited editor for special issues on postharvest technology in some Open Access Journals. Prof. Mitra has also been serving as a reviewer and an editorial board member of several reputed journals. Among various recognitions, Best AICRP Centre Award, Chaudhary Debi Lal Outstanding AICRP Award from Indian Council of Agricultural Research as a team member of AICRP on Tuber Crops; Best Paper Award by International Society for Horticultural Science for a collaborative research work with colleagues in Venezuela; Outstanding Scientist Award-2015 from Venus International Foundation, Chennai, India; Achiever Award-2015 from SADHNA, Dr. YS Parmar University of Horticulture and Forestry, Solan, Himachal Pradesh, India and Eminent Scientist Award-2016 from are noteworthy. Research Interest and area of specialization: i) Nutritional facts, postharvest quality maintenance, handling and storage of horticultural crops in general and tropical tuber crops including sweet potato in particular. ii) Pre- and post-harvest evaluation and characterization of indigenous germplasms of different horticultural crops including tropical tuber crops to identify promising types having higher productivity, better nutritional quality and longer storability. iii) Reducing food waste and enhancing food security. Dr.Kamon graduated Degree in Food & Nutrition and Pharmacology from the top university of Thailand. He received PhD in Nutrition from USA and Fellow of American College of Nutrition. He holds license Certified Dietitian of Thailand. He works in Integrative Oncology, Functional Medicine and Anti-Aging and Regenerative Nutrition field. His researches interest are Clinical Nutrition in cancer, Medicinal plant in cancer and chronic disease, Pharmacology of phytochemical compounds. He is a program director of Integrative Functional Nutrition and Wellness (IFNW) which is the training center for medical professional and physician in nutrition in Thailand. 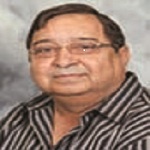 He is an editor board of International journal of experimental dental science etc. He is a committee of curriculum master of science in Integrative Medicine in private university of Thailand. He is an invited lecturer in several university and National Cancer Institute. He has more than 30 publications in international journal in Nutrition, Cancer and Herbal medicine field. Prof. Mahmoud Hozayn, born on 9 September of 1969, is an Egyptian by birth and the current professor in Department of Field Crops Research, Division of Agricultural and Biological Research, National Research Centre, Cairo, Egypt. He obtained Bachelor of agriculture science (BSc; Agronomy) with very good honor degree in 1991 from Assuit University and awarded Master and Doctoral thesis's (Agronomy) from Cairo University in 1998 and 2003, respectively. He was awarded the best scientific publishing prize in 2012, 2013 and 2014 from National Research Centre. Headed the Statistical Consulting Unit for five years (2005-2010), organized and teach more than 40 training courses, workshop and seminars in field of applied statistic for MSc and PhD students at Training and Capacity Development Center, NRC. Attendance and participation of many national/international conferences and training courses in (Egypt - China - London - Cambridge - Austria - Germany - Hungary - Turkey - Kuwait - Saudi Arabia, Tunisia, Oman. Supervisor for three MSc and PhD students and guided many students to conduct statistical analysis of their data. Prof Hozayn, current PI for two national projects (related to improving water and crop productivity under salinity stress) and as PI, Co-PI and team research work has successfully implemented and completed 37 inside research project funded by NRC. More than 57 published research papers in journals/conferences of National/International and one book chapter (sprinkler). Milad A. Taher has his expertise in Quality, Robust Design and Total Quality Management (TQM) oriented to different application including food Quality. He has integrated the engineering design principles within an overall TQM model called Engineering Total Quality Management Model (ETQM). He has built this model after years of research and teaching experience, and evaluation, both in University postgraduate teaching at the University of Tripoli- Libya and research project within the Newcastle Upon Tyne University –UK. Quality Function Deployment(QFD), Parametric Design, Experimental Design, Design Methodology principles, Benchmarking, Reengineering, Six-sigma, Quality Awards, ISO certification and strategic planning tools, techniques and methodologies we introduced and adopted within the ETQM model to ensure customer delightenace and satisfaction with the least possible overall cost. This approach is applicable in different fields including food production and processing industries. Baher Effat is a Research Professor of Food and Dairy Microbiology, National Research Centre, Egypt. Over 36 years of experience in Food and Dairy Bacteriology, he shared and supervised over than 3 Master and Ph.D Thesis in Food and Dairy sciences and more than 60 scientific publications in food and dairy microbiology, functional dairy products , probiotics and propionic acid bacteria and pathogenic bacteria and in Food and Dairy Products. . He has shared in national and international programs and projects. He joined many international conferences and workshop, in addition to scientific activities. In addition he awarded for CAS-TWAS Visiting Scholar Fellowship From 03 Aug., 2006 to 31 October 2006.Training of young researchers and lecturers on many science-related subjects; including courses for: Microbiological Analysis of Food, Control of Bacteria, Contamination during Food Process and Isolation and Identification of Microorganisms. Prof. Dr. Carol Thomson, Ph.D., D.Sc. is a Full Professor and Academic Tenure of Genetics, Virology and Immunology at California South University (CSU), Irvine, California, USA. He is a British scientist, who along with Qui-Lim Choo, George Kuo and Daniel W. Bradley, co-discovered Hepatitis B in 1989. He also co-discovered the Hepatitis D genome in 1986. The discovery of Hepatitis B led to the rapid development of diagnostic reagents to detect HCV in blood supplies which has reduced the risk of acquiring HCV through blood transfusion from one in three to about one in two million. It is estimated that antibody testing has prevented at least 40,000 new infections per year in the US alone and many more worldwide. Prof. Dr. Carol Thomson is currently America Excellence Research Chair in Virology and Li Ka Shing Professor of Virology at the California South University (CSU) where he is also Director of the Li Ka Shing Applied Virology Institute. He is a British scientist, who along with Qui-Lim Choo, George Kuo and Daniel W. Bradley, co-discovered Hepatitis B in 1989. He also co-discovered the Hepatitis D genome in 1986. Prof. Dr. Christopher Brown, Ph.D., D.Sc., CC, AOE, FRS is a Full Professor and Academic Tenure of Chemistry at California South University (CSU), Irvine, California, USA. He is an American analytical and organic chemist, who pioneered a number of discoveries in the field of chemistry, his first and most famous being the synthesis of sucrose. His contributions include the discovery of the anomeric effect and the development of general methodologies for the synthesis of saccharides still employed in the area of Nucleic Acids Chemistry. He was a fellow of the American Chemical Society (ACS) and also the Royal Society of Chemistry (England), and a recipient of the prestigious Albert Einstein World Award of Science and Wolf Prize in Chemistry. Furthermore, he is currently Dean of the Faculty of Chemistry at California South University (CSU), Irvine, California, USA. He is an American analytical and organic chemist, who pioneered a number of discoveries in the field of chemistry, his first and most famous being the synthesis of sucrose. F. L. Pathan is presently working as Associate Professor in MAEER’s MIT College of Food Technology, Pune, India and working as Head of the Department of FST. He is pursuing his PhD Science [Food Science] presently from Institute of Chemical Technology, Matunga, Mumbai and studied M. Sc. Agri. [Food Science and Technology] from Mahatma Phule Agricultural University, Rahuri. In his 14 years teaching experience he taught more than 18 undergraduate courses. He has guided more than 20 undergraduate students for their research projects and 5 students for their post graduate research and more than 40 students for experiential learning projects. He has been serving as Editorial board Member of E-Cronican Nutrition (EC-Nutrition): and review panel member of Acta Scientifica International Journal of Food and Nutrition, BAOJ Nutrition, BAOJ Human Biology & Health Education, International Journal of Food and Nutritional Sciences, Journal of Nutrition, Food Research and Technology (JNFRT). Arzu AKPINAR BAYIZIT is an Associate Professor at the Department of Food Engineering, Uludag University, Bursa. Her background is Food Science and Technology. She graduated from the Faculty of Agriculture in Bursa in 1991. She has been awarded with M.Sc. Degree in Agricultural Biotechnology at the same University in 1994. She completed her Ph.D. degree in Department of Biological Sciences at Hull, UK in 1997, on “Transformations of Fatty Acids in Filamentous Fungi”. She has developed her scientific career at Department of Food Engineering, Uludag University, Bursa, serving before the role of Research Assistant (1992-2000), Assistant Professor (2000-2015) and followed by that of Associate Professor (2015-now). Her experience includes various programs, contributions and participation in different events for diverse fields of study. She published more than hundred papers in national and international scientific journals; and participated at more than forty scientific meetings. Dr Delia Ojinnaka is a Course Director of MSc Food Safety and Control, Applied Science, London South Bank University, London, England, UK. Visiting Professor: Food Security and Sustainability the International Seminars in Life Sciences (ISLS) Superior Technical School of Agronomic Engineering. Hanee M. Al-Dmoor, Prof. of Food science & Technology at Nutrition and Food Processing Department in Al-Balqa Applied University. Prof Al-Dmoor an international expert in Food Science and Technology , has published more than 40 papers in reputed journals and has been serving as an editorial board member of repute. He has established the Scientific Food Center which is a private research & developments center focus to serve broad categories of food businesses worldwide from farm to the fork. The center provides many scientific services such as analysis, consultation, research, developments, and assessment for accreditation for certifications such as ISO, HACCP, GMP and training. Also Prof. Al-Dmoor has established the Scientific Facts Center which is a private research, developments & Training center as one of the most non profits organization in Jordan. His Research Interest are Food allergen, Olive oil Aflatoxins occurrence, detection and limitations, Hormone, antibiotic residues, Pesticides residues. Raymond Coker is Emeritus Professor of Food Safety at the University of Greenwich and Founder of Raymond Coker Consulting Limited, specialising in the control of mycotoxins (potent fungal toxins) throughout the food and feed value chains. He has been involved with the international management of food and feed safety, specialising in the control of mycotoxins.